Idly chaat recipe is another innovative recipe made from leftover idly. 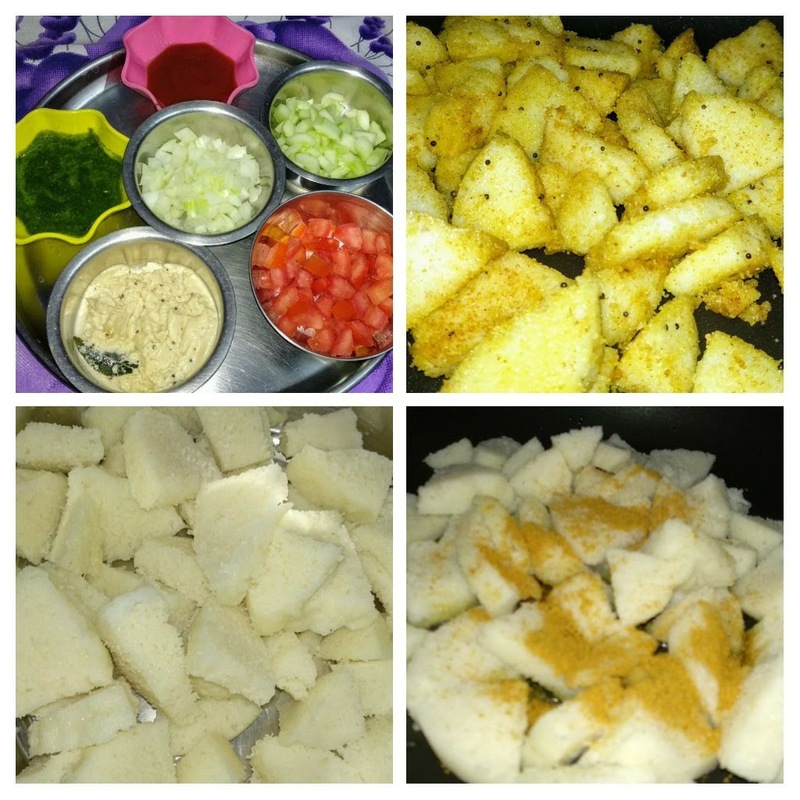 If you are bored of eating fried idly made from leftover idly, try this new yummy recipe of leftover idly. 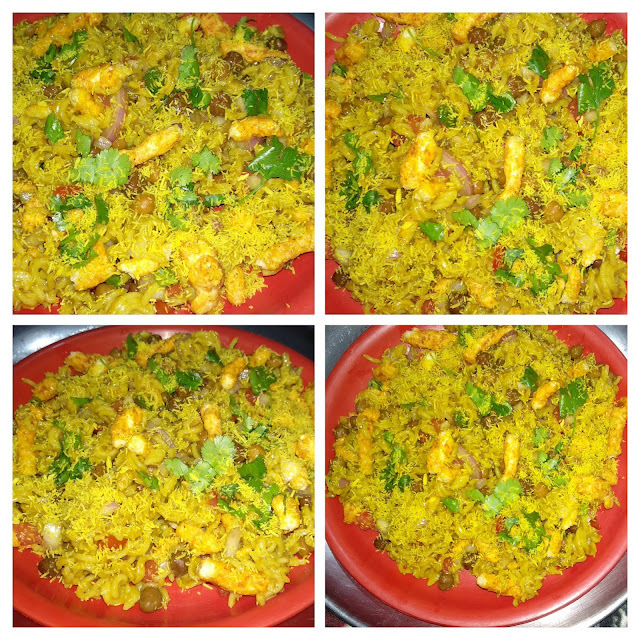 Very easy, quick and yummy recipe. Cut the idly into small pieces and keep aside. Heat 1 tbsp refined oil in a non-stick pan, add mustard seeds and Asafoetida and then idly pieces, sprinkle Maggie Masala and saute for 4-5 minutes. Remove the pulp of tomato and chop them finely. Chop the onions also finely. Remove the seeds of cucumber and chop it finely. Finally, take the idl in a bowl, add 1 tea spoon idly chutney, 1 tbsp green chutney, tomato ketchup as per taste and all the chopped vegetables and mix well. 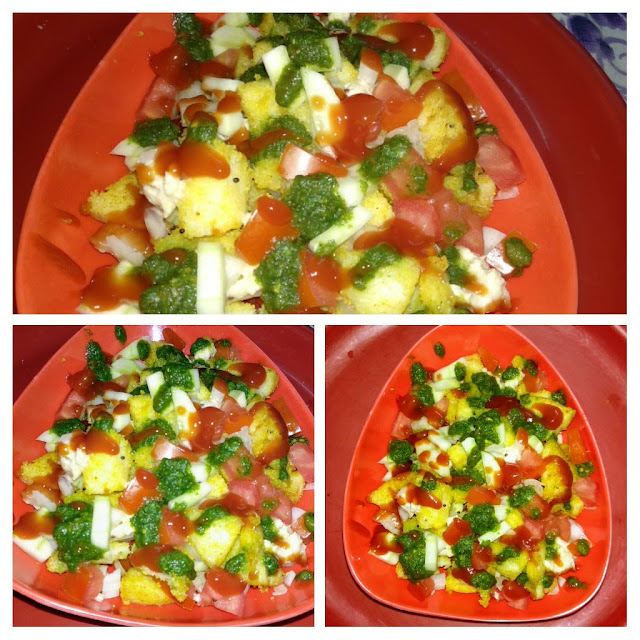 Yummy Idly chaat is ready.